Located south of Moab, the San Juan River carves through Utah's southern canyon country with artistic flair, creating the type of scenery that can make pictures snapped from a disposable camera look good. Its easy waters, which never exceed Class III status, make this a popular river for families and groups. Soak in the beauty of the San Juan River and enjoy fly fishing made easy by Duranglers. Providing action-packed fun for all of your rafting needs in Utah, Colorado and Idaho plus mountain biking tours and multi-sport packages. Rafting, hiking, and 4x4 adventures in Canyonlands and Arches National Parks, Grand Staircase/Escalante National Monument, and on the Colorado, Green, and San Juan Rivers. The beauty of whitewater rafting the San Juan River is that because it is so diverse you can actually customize a trip based on length and interests. In all it covers 84 miles, but due to several put-in and take-out points you can choose from a 26-mile trip, a 58-mile trip, or the entire haul which generally takes eight to nine days. The 26-mile rafting trip begins at Sand Island (three miles outside of Bluff, a small town that some predict is another Moab waiting to happen) and ends in Mexican Hat. Ideally this trip can be completed in two or three days, but some outfitters cram all 26 miles into one day. Pinnacle moments are many, including the Butler Wash Petroglyph Panel, one of the largest clusters of rock art in the southwest, and the remnants of an Anasazi cliff dwelling. The 58-mile raft adventure begins in Mexican Hat and ends in Clay Hills. The beginning of the trip is highlighted by the San Rafael's famous "Gooseneck" section, which wedges five river miles into one mile of landscape. 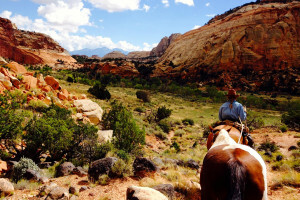 There are also plenty of side hikes through fossil-rich canyons with plunge pools and hanging gardens. This generally takes five to six days. The San Juan River flows through Southern Utah and offers great rafting and some decent warm water species fishing, but most of the San Juan fly fishermen target the waters just across the border in New Mexico. 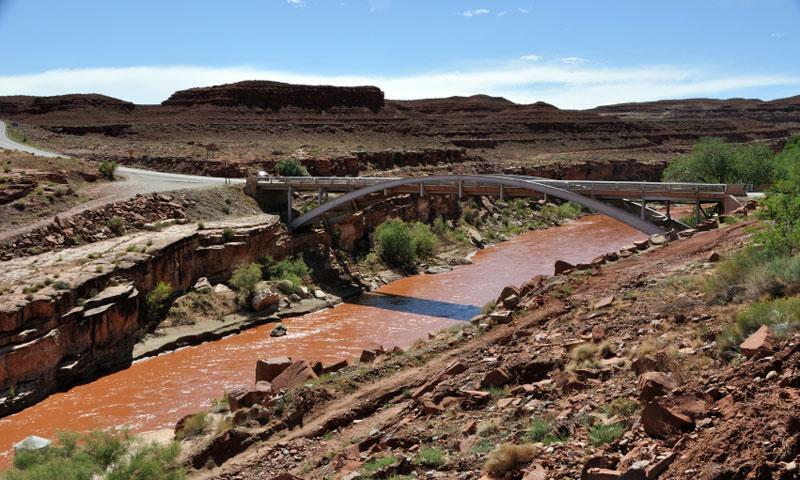 The tailwater at Navajo Dam is one of the best in the country. Seasons And Species: The San Juan is best fished in the spring and fall, but summer fishing can be good despite the Southwestern heat. Winter fishing is possible. Rainbows and browns will make up most of the catch, but as the river flows into Utah and the Moab region, catfish will begin to dominate the catch. Getting To The "Juan": The top spot below Navajo Dam near the town of Aztec, NM can be reached by driving southeast from Moab. The drive will take nearly four hours, but worth the time and effort to catch average trout running 16 to 17 inches. Head south on US-191 South to US-491 South.